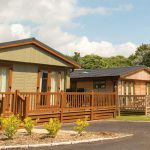 Shorefield Holidays has a choice of six award winning holiday parks in Dorset and Hampshire, perfect locations for those seeking high quality breaks in both the New Forest and South Coast area. 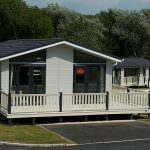 Shorefield offer a wide variety of holiday homes for sale including some of the very best caravans and lodges available, providing not only a home from home but a whole new lifestyle. Their South Coast holiday homes are all located in a variety of landscaped settings and offer a wide choice of exclusive leisure facilities. 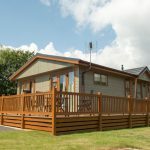 Shorefield Holidays is a multi-award winning park group and provide great facilities on their parks with some amazing luxuries built in, so there’s something for everyone, even the family pet. These parks are all about relaxing and enjoying quality time together, so if you relax by doing very little or keeping active there’s plenty of opportunity to enjoy your perfect break. There are also extra-special facilities on their parks including day spas, Health and fitness clubs, Go Active Activities, restaurants and a full entertainment programme as well as indoor and outdoor swimming pools to chill out in. The new Dane Park Lodge Development at Shorefield Country Park is the latest and most exclusive development to date and consists of nine luxury lodges set in a cul-de-sac style with double parking bays to each lodge and carefully selected landscaping. Lodges on this development will range from £159,995 to £249,995. 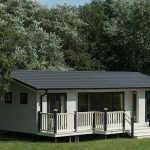 Shorefield Holidays also have a new caravan development on Sea Breeze. Which was completed earlier this year and offering a great selection of 13’ and 14’ wide plots, all of which have double parking bays and carefully selected landscaping. Prices start from £59,995. 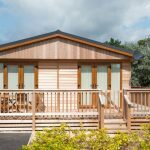 You can buy your own little piece of heaven with Shorefield through holiday home ownership, with a variety of options available to suit all budgets. to book a VIP tour or complimentary weekend today!